Do आप think she's hott? Do आप like Emilie's hair better with bangs या without bangs? How do आप like Emilie as? 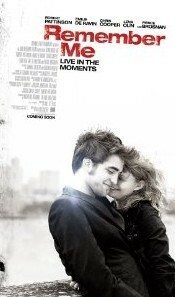 Do आप think Emilie and Rob Pattinson will have chemistry in their new movie, "Remember Me"? VOTE EMILIE ON एमटीवी MOVIE AWARDS!!!!! do आप think Emilie and Robert had make a good couple? i have see the trailer for theirs new movie and i think they looks cute together in the movie and real life. Emilie de Ravin's perfect dress!!! We’re sure everyone will remember what R-Patz’s pretty co-star was wearing! Emilie de Ravin is caught between two worlds. The bright-eyed Australian actor is in Toronto for a round of interviews promoting her new film, Remember Me, a romantic drama that pairs her with Twilight throb Robert Pattinson. From here, she’ll fly into a snowbound New York for the press junket. a comment was made to the poll: What character do आप like more? Did she die in “Remember me”? We must all support Emilie de ravin!! !